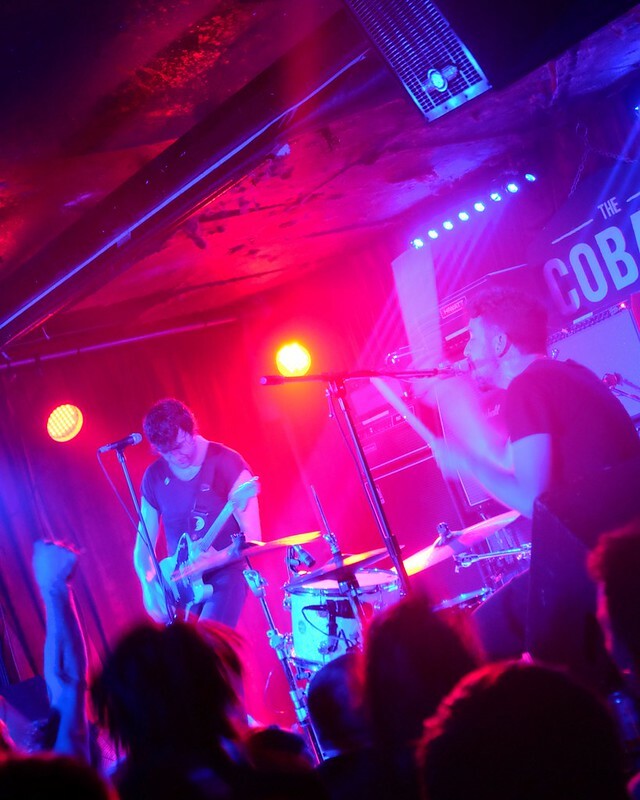 Strathcona—(October 7, 2016) Night three of Japandroids' four-night, hometown residency showcase at The Cobalt was another warm-up gig to kick-off their upcoming tour and workshop new songs for their upcoming, but as of yet, unannounced, forthcoming new album and shake off some rust. Former Apollo Ghosts rockers Adrian and the Subs opened things up with a high-energy set full of fun, lively tracks off their gentrification-themed Terminal City record. 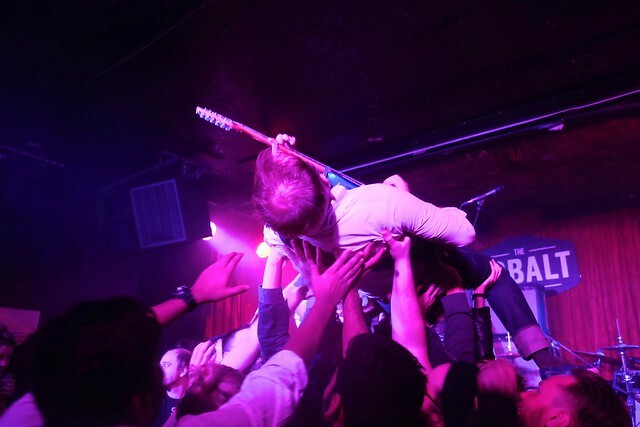 After three years of self-imposed exile after the rapturously acclaimed Celebration Rock (and Post-Nothing before that), the Vancouver duo of guitarist Brian King and drummer David Prowse, made their triumphant comeback in front of another intimate but packed hometown crowd of friends and fans. 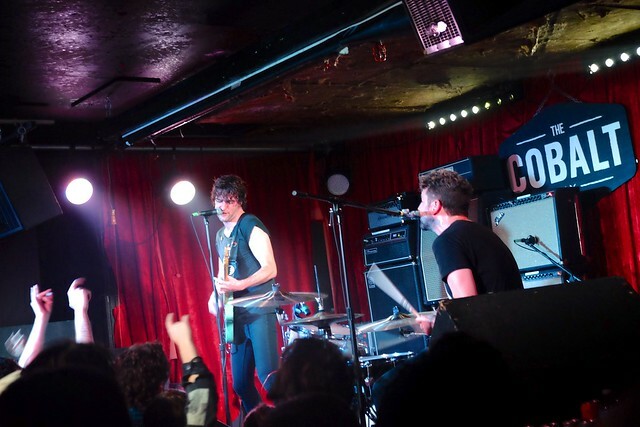 It was a shaggy, ragged, but altogether thrilling and pulsating set with Japandroids' trademark sound and energy featuring a handful of new material. "And if they try to pull you down, tell them all to go to hell." 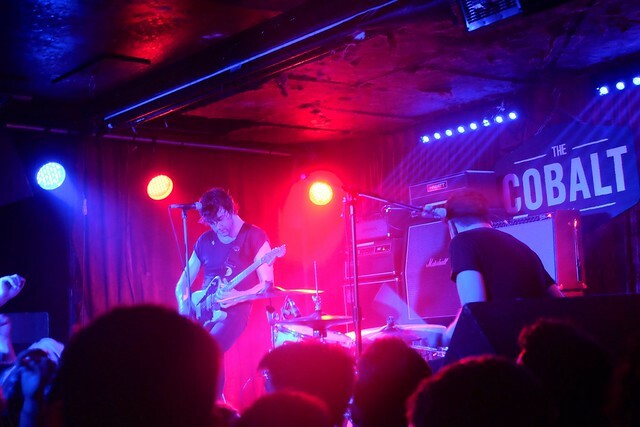 Update: Japandroids formally announced the release of the their upcoming new (third) album and its title track, Near to the Wild Heart of Fire, to be released in early 2017 followed by a world tour.